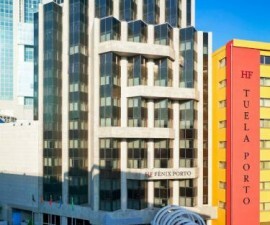 The Dom Henrique Hotel stands out in Porto for its comfortable atmosphere and warm welcome. The hotel is owned and run by a local family and has been since 1973. 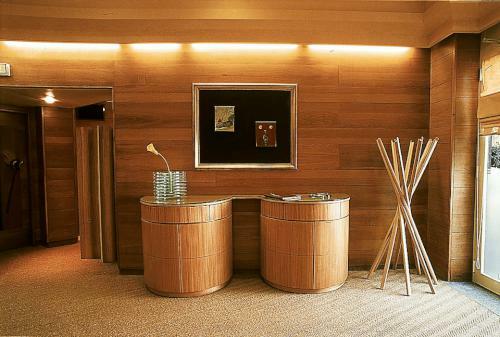 Families in Portugal have a tradition of going the extra mile to ensure their friends, guests and loved ones are well taken care of and the Dom Henrique Hotel is no exception. 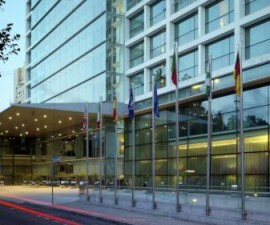 This is a high-quality four-star hotel located in one of the best spots in the central downtown area of Porto. The building was an original project of two famous architects who responsible for bringing cutting edge design to Portugal, including this, Porto’s first concrete high-rise office building. Once it was built, it became apparent that it was better suited to providing hospitality to the many visitors who stopped at Porto during their work or holidays in Portugal, than as a commercial office environment. 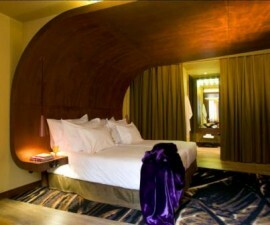 And so it was that the 111 rooms were launched to the public. 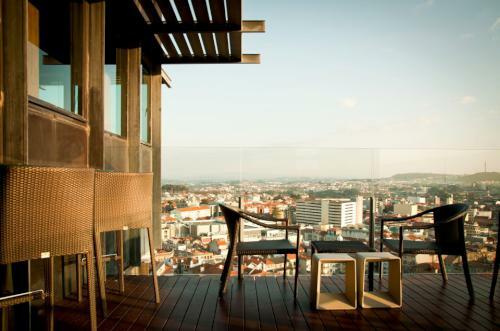 At 17 stories high, the Dom Henrique Hotel offers some of the most breathtaking views across the city of Porto and over the waters of the Douro river beyond. The hotel restaurant is located right here on the top floor, meaning that the best views in the house are open to all, and not reserved for those with a budget large enough to afford a top-floor room. 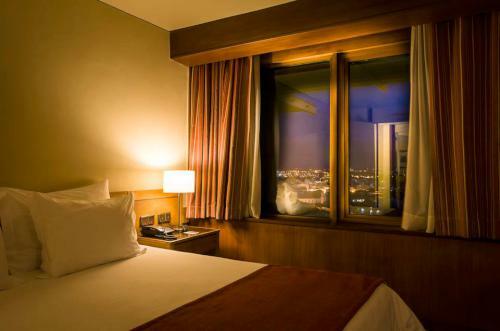 There are a variety of rooms for all budgets at the Dom Henrique Hotel. Each room is fully equipped with air conditioning, electronic key card system, en-suite bathroom with full marble bath and speaker, direct dial telephone, Wi-Fi access, TV with satellite programming, radio, mini-bar and hair-dryer. 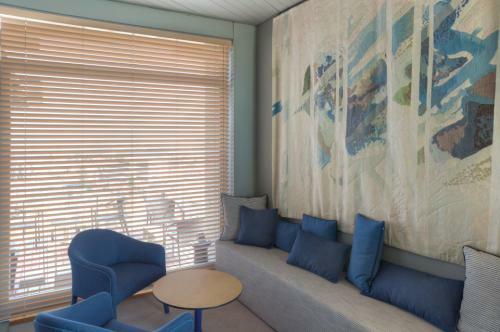 There is a wide range of services on offer, including room service from 7am to 2am, laundry and dry cleaning, business centre, babysitting, safe, luggage storage, gym, and ticket sale tours for local excursions. Don’t miss the opportunity to enjoy a meal at the hotel restaurant, an impressive 150-metres above sea level! Here you will enjoy refined cuisine from the far corners of Portugal along with some local delicacies and specialities with an international flavour. If weather conditions allow, you can even enjoy your meal al fresco on the adjacent terrace. A larger restaurant is also available on the ground floor and it here that breakfast is served daily from 7am to 10:30am.